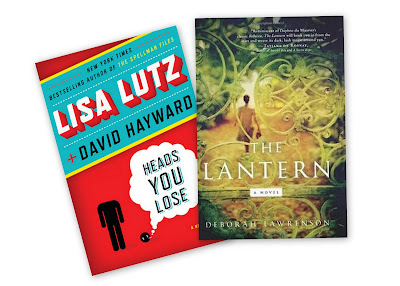 The Sunday Salon [9.18.2011] – my books. my life. I hope everyone had a wonderful Book Blogger Appreciation Week. It’s always a fun time, and even though I wasn’t able to participate as fully as I have in the past, I found some wonderful new blogger friends. I am currently working my way through the magic of The Night Circus (keep your eyes open for a giveaway) and listening to Ready Player One. Are you reading anything exciting? And how many new bloggers did you find this week? I’m still trying to decide whether to wait for The Night Circus in audio or just dive into to copy I have. I’ve heard great things about Ready Player One, I have got to get a copy… maybe today! I am anxiously awaiting my copy of THE NIGHT CIRCUS. I keep hearing such amazing things about it. I do have READY PLAYER ONE on audio. I need to get through my current audiobook first. My reading week was particularly slow because of BBAW. Any reading time I had pretty much went to blogs! The Night Circus is patiently waiting on my shelf, and I have Ready Player One on audio on hold at the library. I’m looking forward to both. I’m working Sea of Poppies by Amitav Ghosh right now for my Reading Buddies project, and I’m listening to the Temeraire series by Naomi Novik (read by the fantabulous Simon Vance). And, um, I’m trying not to count all the new bloggers I met, since my reader is now exploding! 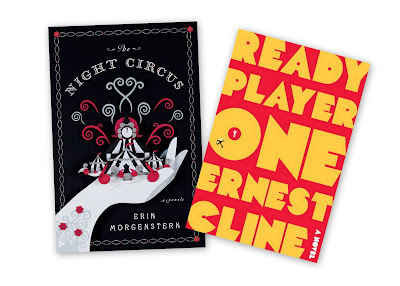 I just picked up The Night Circus and Ready Player One at the library last Friday. Having trouble getting into Night Circus.